The easy way to add cost price to your Shopify store. 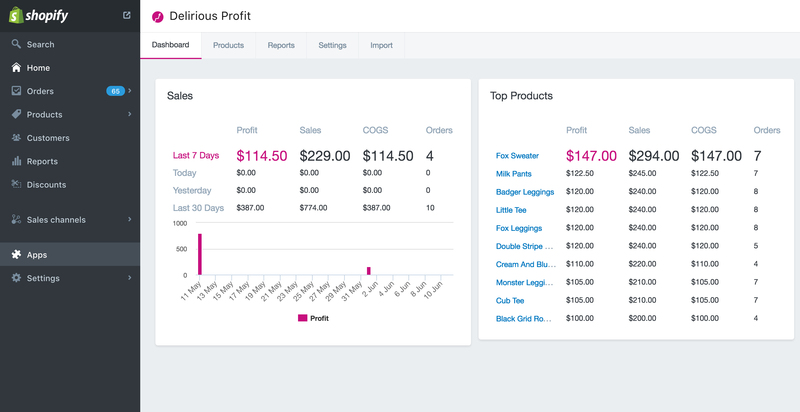 Delirious Profit takes the hassle out of calculating profits and margins for e-commerce businesses by adding cost prices (COGS), especially at the end of the financial year. You can focus on value-adding activities that fuel the development of your business, rather than staring at a speadsheet. Simply add the cost of goods sold to your variants and Delirious Profit will automatically tell you the margin you made on that product - and provide a bird's eye view of profits over time.